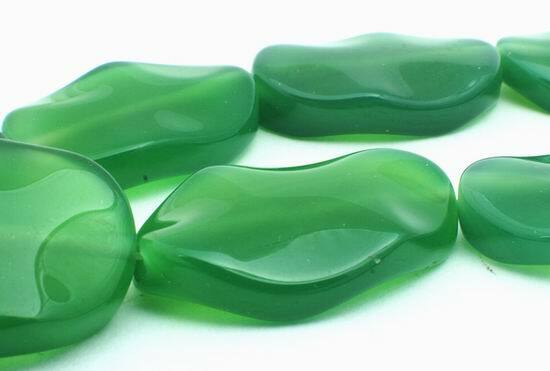 Sorry, we are currently sold out of 'Large Shapely Green Agate Wavy Oval Beads'. Please check back later. Price is per 15.5-inch strand of these beautiful beads. Each measure a large 29mm x 20mm x 7mm - about 13 beads to the strand. What is agate?